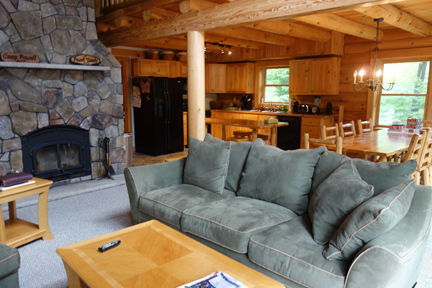 This is an all season spacious vacation log home near the water's edge of crystal clear Newfound Lake in Hebron NH. 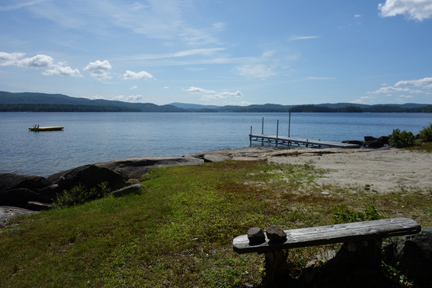 Newfound Lake has been referred to as New Hampshire's best kept secret. 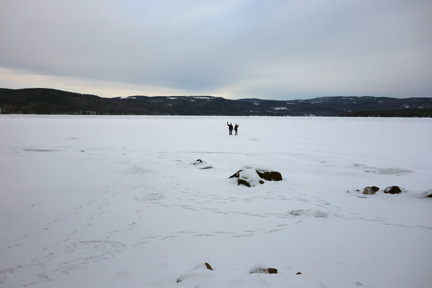 The Newfound Lake area offers swimming, fishing, canoeing, kayaking, hiking, rock climbing, golf, winter skiing, ice fishing and snowmobiling. 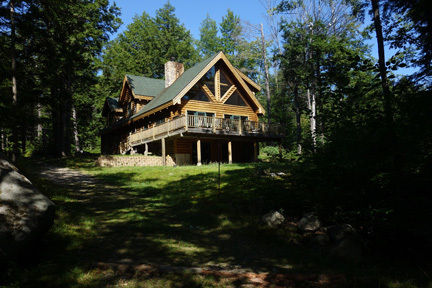 This large spacious log home is ten years old with semi- private beach access to 110' foot of shore front on Newfound Lake. 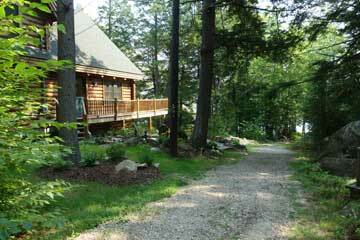 The shaded and open beach area is shared with only one other home and the lake is visible from the side deck and log home entrance. 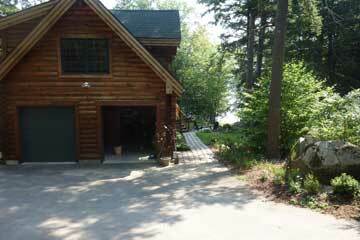 The view of the lake from the glass front and deck is partial through the trees but the beach area is steps away and water's edge is 75 yards from front deck. There are no roads to cross to get to the water. The view of beach area below is taken from same spot as the view of home above. 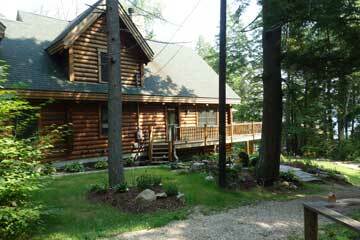 Spacious 2200 sq feet of Log home living space and two car garage for gear and snowmobile storage. Full glass front overlooking a large deck with open concept Kitchen, Living Room and Dining Room with full length stone fireplace wall. 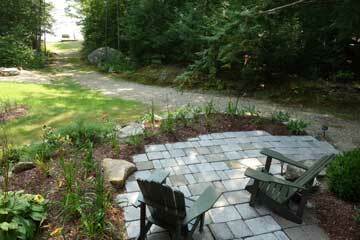 Large outdoor deck with partial view of lake and trees and beach area. Two bedrooms and bath on first level. A bunk room and king bedroom and bath on second level. Additional space in loft/game room with balcony overlooking living room. There is full glass front and cathedral ceiling with large walk out screen doors and large deck from living room and dining. Patio dining furniture and gas grill on deck. 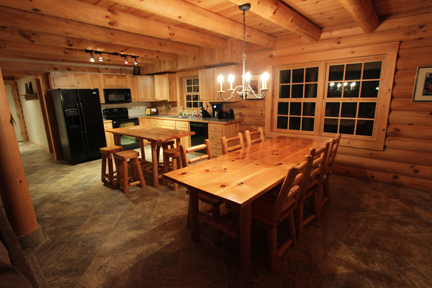 There is wireless internet and cable TV. 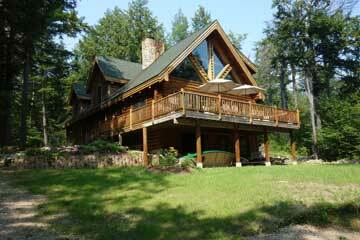 This is an all year, four season vacation rental. Great for all year family vacations - summer, fall, winter and spring swimming, hiking snowmobiling and skiing. Semi-Private waterfront. 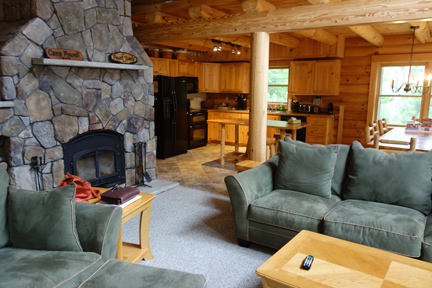 There are two Wilderness Systems sea kayaks, life jackets, paddles, an Old Town canoe, sand chairs, beach inflatable tubes/toys and inflatable boat all available in log home. The crystal clear water provides excellent swimming. The calling of the loons is a beautiful sound in the evenings. 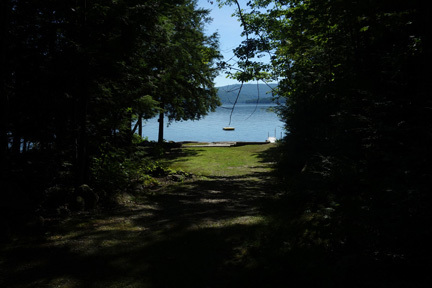 Newfound lake is a summertime experience I still love and can’t get enough of after 61 years. The Lake views, the mountain views, the beach, the evening campfires, moon beams across the lake and the ducks and loons swimming by, the outdoor living just does not get any better then this. Fall Winter and Spring are pretty awesome here too.